Operating an income property can become a pretty lucrative investment if you play your cards right. But with rental payments, comes a lot of other responsibilities and costs. If you’re thinking about turning your basement apartment into a rentable space or even investing in a rental property outside of your home state, there are some things you should consider before diving into the real estate business. 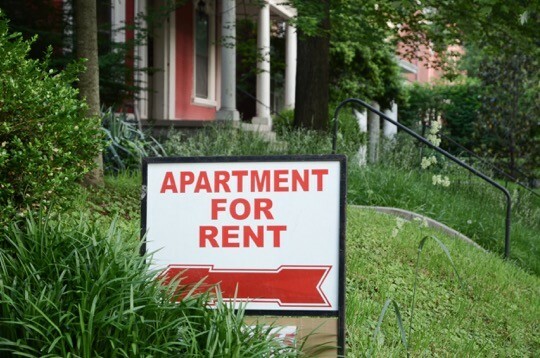 We’re exploring some major pros and cons of becoming a landlord to help property owners figure out if renting their space is really the right move. Renting out your property to a tenant still means you’re responsible when things go wrong. If a pipe bursts in the middle of the night, you’ll have to find an emergency plumber. Or perhaps there’s a pest or mold situation that needs to be taken care of. Whatever the situation at hand turns out to be, you are likely going to be the responsible party. If you decide to put your property up for rent, just be prepared to be on-call at all hours of the day. Use a communication software program to help you stay on top of maintenance requests and other communications with your tenants and property management company if you have one. Whether you’re switching out tenants or wondering how to manage a month to month rental agreement, a lot of coordination and problem-solving goes into running your own rental property. Between maintenance requests, complaints, fixes, and finances, you’ll have a lot to keep track of. So before you decide to lease out your property, make sure you’re well-organized and ready to take on some challenging situations! Regulations for rental properties and landlords vary depending on the state you’re renting in. And abiding by these rules is necessary if you want to stay in compliance and out of trouble with the state. Before putting your space up for rent, find out your state’s landlord-tenant laws and regulations. If you’re not quite ready to commit to the landlord life, there are some other solutions that still allow you to cash in on your extra space— without having to sign a lease agreement. Websites like Airbnb allow you to rent out your spare bedroom, vacation property, or entire home all on an intuitive platform. Rather than being on-call for the entirety of your tenant’s lease agreement, you can rent out your space when you choose to. Most Airbnb rentals range from a few nights to a few weeks, rather than a six or twelve month lease. This is a great way to test out the rental process if you’re still on the fence about renting your space full-time. Whether you’re renting your vacation home or an upstairs unit in your duplex, there’s no question that renting out that extra space can help you pay the mortgage. If you’re looking to buy a ski home in Utah or a beach house in Hawaii, but can’t configure the finances— renting out your vacation home is a great way to make those payments work. Better yet? If your mortgage is already paid off, you can turn those rental checks into a substantial profit. Finding the right tenant to occupy your rental property is about 80% of the rental property battle. But when you do find a low-maintenance tenant that makes their payments on time and is in it for the long run, being a landlord isn’t so bad! Making money off an extra space on your property isn’t as easy as installing a “For Rent” picket sign in your front yard and raking in the rental payments. There’s a lot to think about throughout the decision process— from making repairs to choosing the right tenant, being a landlord is practically a full-time job! But if you’ve evaluated these pros and cons and you’re still ready to rent, give it a go. There are plenty of tools out there to help you adjust and figure out a workflow that works for you. Ready, set, rent!